Despite promising to launch its Eee keyboard last month, Asus has demoed a revised version of the computer-in-a-keyboard, which is now due to ship early next year. Among the changes Asus has made to the device are the replacement of its 5in resistive touchscreen display with a capacitive panel. Ken Wang, Asus' product design chief, told Register Hardware that a capacitive touchscreen, like that found in the iPhone and other top-end handsets, provides “better touch responsiveness” on the 800 x 480 panel. 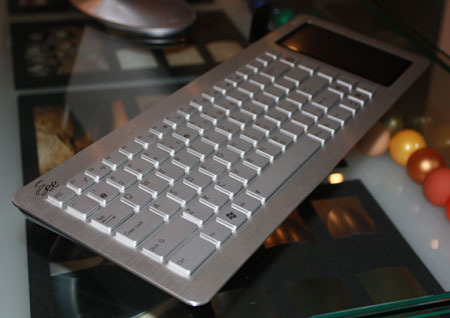 SWang added that the keyboard's touch-sensitive panel will also support gesture control features akin to Apple’s Magic Mouse – reviewed here. The keyboard will, for example, launch a web browser when you swipe to fingers over its screen. 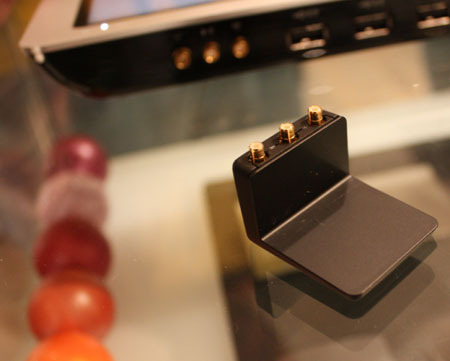 But Asus’ own design choices for the keyboard mean that the gadget will now ship with a external wireless antenna (shown above) rather than in internal one. During tests Asus discovered that the keyboard’s metallic body greatly reduced its ability to pick-up Wi-Fi signals, the company admitted. But because the firm’s designers liked the metallic look, they kept it and just moved the aerial outside of the casing. 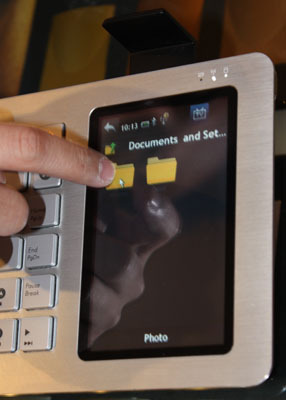 However, a non-metallic version of the keyboard is also planned, which will feature an integrated wireless receiver.